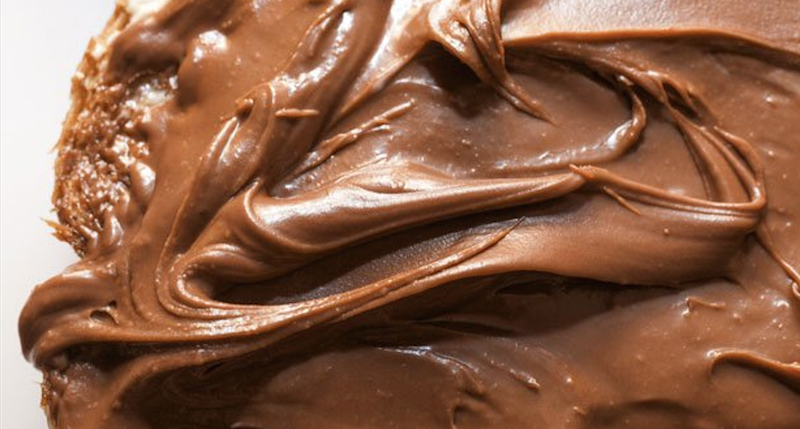 Ferrero, the company that makes Nutella and spreads joy across the world, currently uses about one-fourth of the world's hazelnut supply. As prices rise, more farmers around the world have begun growing hazelnuts. But it wasn't possible to do so in the northeastern region of the U.S. — until now. "All the green leafy things you see here are hazelnut trees. But in the beginning, they all used to die from disease," says Thomas Molnar, a Rutgers plant scientist who is in charge of this effort. The disease, called Eastern Filbert Blight, is caused by a fungus. Some relatives of the commercial hazelnut, native to North America, can withstand the fungus. But the European hazelnut, the kind that fetches high prices, cannot. When the fungus attacks, it ruptures the bark around each branch, and the tree dies. About 10 years ago, though, a plant breeder at Rutgers named C. Reed Funk embarked on a quest for hazelnut trees that could survive Eastern Filbert Blight. Similar efforts have been underway at Oregon State University, because Eastern Filbert Blight has made its way to Oregon as well, threatening the orchards there. "I personally went and made seed collections in Eastern Europe, Russia, Poland, Ukraine," says Molnar. "I collected thousands of seeds. We grew them as we normally would, and I'd say that 98 percent of them died." The other 2 percent, though, did not. They carried genes that allowed them to survive the blight. Molnar cross-pollinated these blight-resistant trees with other hazelnut trees, from Oregon, that produce lots of high-quality nuts. He collected the offspring of that mating, looking for individual trees with the ideal genetic combination: blight resistance and big yields. Molnar shows me a few candidate trees. They're thriving, and producing lots of nuts. Molnar and his colleagues now are conducting field trials of these trees in 10 locations around the Eastern U.S. and Canada to see whether they yield enough nuts to be commercially successful. Molnar is optimistic. His efforts have even caught the attention of Ferrero, the Nutella-maker. "They've come here several times," Molnar says. "They've told me, if we can meet their quality specifications, they'd be interested in buying all the hazelnuts that we can produce."